Home / 消息动向 / Latest News / Running to help the homeless in the Discovery Bay 10K 2018! Running to help the homeless in the Discovery Bay 10K 2018! 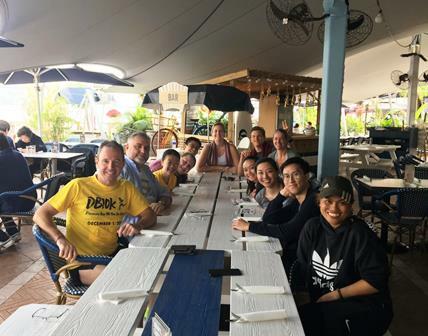 On Saturday 1 December nine Tanner De Witt runners ran the annual Discovery Bay 10K – an event that we have supported for several years! Tim Drew, Phil Swainston, Jan Willem Möller, Rowan Varty, Katherine Ng, Adrian Au, Winnie Wat, Natalie Lam and Raymond Ko all raced, with Tim Drew finishing fastest man with an impressive 41.48 and Winnie Wat fastest woman coming in at 51.22. Ian De Witt, Kimberly Dasse and Lizzie Fraser were also in attendance to lend support to the Tanner De Witt team. Well done to everyone! 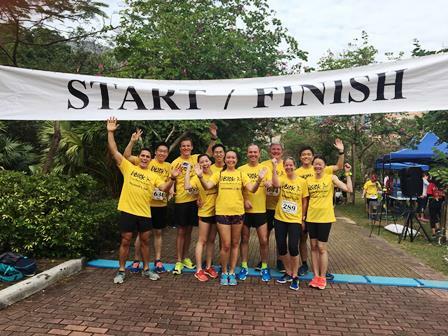 The Discovery Bay 10km Run for Charity was first started in 2004 –and it has since grown to become one of DB’s favorite annual events. Each year, hundreds of runners race through a picturesque route in the Lantau neighborhood to raise money for charity. The 2018 beneficiary was ImpactHK, an association dedicated to helping the homeless in Hong Kong. ImpactHK believes in the importance of kindness in addressing some of the most pressing issues in our community. They started their journey with the simple aim of doing one act of kindness per month for the homeless in Hong Kong. Since their humble beginnings in 2015, many volunteers have joined them in their journey to support the less fortunate in a meaningful and measurable way. Together, they have evolved into a powerful humanitarian movement with the opportunity to make a positive impact on the plight of the homeless in Hong Kong. For more information about our work with the local Hong Kong community and charities in Asia along with our sponsorship and events, please contact our Marketing and Business Development Manager Lizzie Fraser (lizziefraser@tannerdewitt.com).